Seyyed Ebrahim Raisi was born in Mashhad during December 1960. He is a seminary graduate. 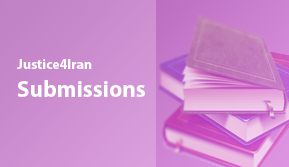 Since the formation of the Islamic Republic, Seyyed Ebrahim Raisi has held major judicial offices and has been involved in various human rights violations. As Tehran Province’s Deputy Prosecutor in 1988, Seyyed Ebrahim Raisi was part of the Death Committee that decided whether prisoners would live or die, based on a few questions asked the prisoners’ political or religious beliefs. In his memoirs, Ayatollah Montazeri, a critical marja’ taghlid (source of emulation), and Khomeini’s designated successor, mentions the key role played by Ebrahim Raeisi in the 1988 massacre. The publication of an audio recording of Ayatollah Montazeri’s meeting with the Death Committee on 15 August 1988 brought into foreground the role of Ebrahim Raeisi, Mostafa Pourmohammadi (Intelligence Ministry representative), Hossein Ali Nayyeri (religious judge) and Morteza Eshraqi (prosecutor) in the mass killings. 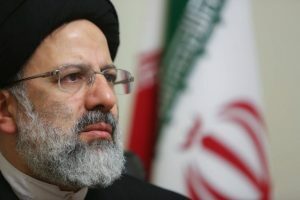 As the first Vice Chief Justice of Iran, Seyyed Ebrahim Raisi was involved in suppressing, torturing, and executing people during the protests against the 2009 presidential election results. Tens of protestors were tried collectively, and some of them were condemned to death in the summer of 2009. Mohammad Reza Alizamani and Arash Rahmanipour were sentenced to death on charges of planning armed operations. After their trial, it was found they had been arrested before the election, in March and April, so they were not capable of organising post-June actions. They were both executed on 28 January 2010, nonetheless. On 29 July 2009, Mehdi Karroubi, one of the opposition leaders, brought up the sexual abuse of prisoners arrested in post-election protests and called for a judicial investigation into the case. The committee’s rejection of sexual harassment claims was a consequence of the pressures put on the victims to retract their testimonies. As the Special Prosecutor of the Clergy, Seyyed Ebrahim Raisi, played an important role in issuing Ahmad Monazeri’s 21-year prison sentence. 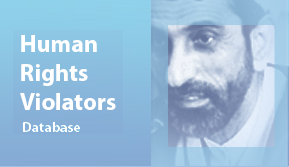 After an audio recording of Ayatollah Hossein Ali Montazeri’s meeting with the Death Committee was released on 15 August 1988 by his son, Ahmad Montazeri, the Ayatollah was sentenced to 21 years of imprisonment and stripped of his clerical authority.